There are common elements in the Indian and Central Asian experience. Both were connected by constant flow of men, goods and ideas. Samarkand and Bokhara are as much part of our history as Uzbek history. 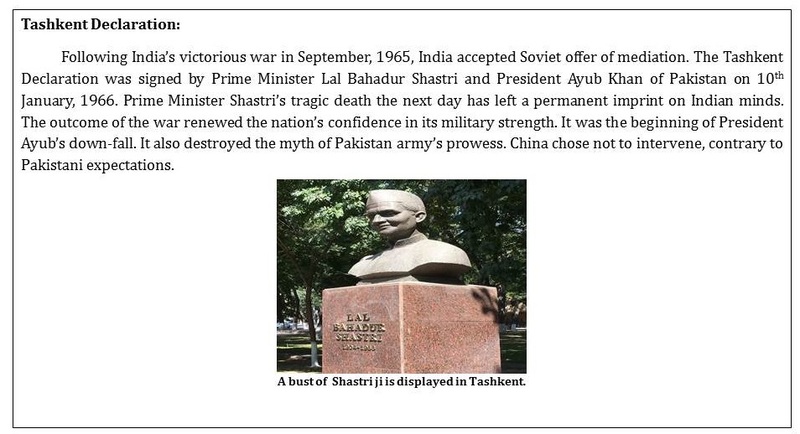 In the contemporary period, Tashkent is associated in Indian minds with the Tashkent Declaration, and Prime Minister Shastri ji’s death in that city in January, 1966. Since the birth of the new republic in 1991, our bilateral relations have been strengthened by high level visits from both sides. PM Modi made a bilateral visit to Uzbekistan in July, 2015. He visited the country again in June 2016 to attend Shanghai Co-operation Organisation (SCO) summit. The process culminated in India joining SCO during Astana Summit in June, 2017. Recently, a high level Uzbek delegation led by Uzbek Foreign Minister, and Foreign Trade Minister, visited India. Uzbekistan provides opportunities for enhancing regional connectivity, trade and investment. The Central Asian renaissance in the 9th and 10th century was linked to wider intellectual under-currents in the region extending from India to the Abbasid Caliphate in Iraq. There are three outstanding personalities from this region, who have left their imprint on history - Muhammad Ibn Musa Khworezmi, Abu Reyhan Beruni and Abu Ali Ibn Sina. Khorezmi’s work, “On the calculation with Hindu numerals”, written around 825 AD was mainly responsible for spreading the Hindu-Arabic numeral system throughout the Middle East. Al-Beruni came to India with Mahmoud Ghazni. He produced a very detailed account of contemporary India, its social practices, mathematics and science. He was influenced by arguments of Indian scholars that the earth was round. Ibn Sina was born in 980 AD in the village of Afshana, near Bukhara. He learnt arithmetic from an Indian green-grocer. He authored a five volume medical encyclopedia, “The Cannon of Medicine”, which remained the most authoritative work on medicine till the 18th century. Uzbekistan gave rise to Naqshbandi movement. 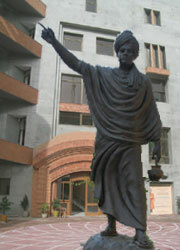 An exponent of this school of thought in India was Sirhindi. At the time of creation of the new Republic in 1991, 46 percent of the people of Uzbekistan were below poverty line. This percentage came down to 14 percent by 2015. Uzbek GDP grew 6 times during the period. The economy also diversified. 57 percent of Uzbek exports are finished products now. After President Karimov’s demise, the political transition was smooth. Shavkat Mirziyoyev was elected President in a land-slide victory in December, 2016. He has since taken steps to strengthen relations with Uzbekistan’s neighbours. Bi-weekly direct flight was introduced between Tajikistan and Uzbekistan in April, 2017 after 22 years. President Mirziyoyev also visited Turkmenistan twice to sign three agreements on energy co-operation with Gurbanguly Berdymukhamedov. Uzbekistan has also opened two border-crossing points with Kazakhstan. Progress has been achieved in settling border disputes with Kyrgyzstan. Uzbekistan is a State bordering Afghanistan, and has a stake in political and economic developments in that country. Uzbekistan was part of Northern Distribution Network (NDN) for supply of non-lethal equipment to North Atlantic Treaty Organisation (NATO), after Pakistan closed supply routes running through its territory in November 2011. Uzbek President Mr. Shavkat Mirziyoyev in his speech to the 72nd session of the UN General Assembly supported “direct dialogue among the (Afghan) central Government and main domestic political forces without preconditions”. He also suggested that the “negotiations should be Afghan-led on the territory of Afghanistan and under the auspices of the United Nations”. Significantly, he stated, “We support the appeal of the US President Mr. Donald Trump to Afghanistan’s neighbor-states to promote the peace process of the inter-Afghan settlement” - President Trump has criticized Pakistan for providing safe havens to terrorist organizations fighting US forces in Afghanistan. President Shavkat emphasized religious tolerance, mutual respect, non-discrimination and commitment to promote moderation, and oppose extremism. Uzbekistan has also played a role in Afghanistan’s re-construction and development. It has completed a rail-road from Termez on Uzbek-Afghan border to Mazar-e-Sharif in Afghanistan. Once the segment Mazar-e-Sharif to Herat and Herat to Iran is completed, this will provide a route for Uzbek as well as Afghan exports. Uzbekistan is often described as a ‘double land-locked’ country - it is not only land-locked, but its immediate neighbors are also land-locked. Conversely, Uzbekistan’s central position makes it critical to any country trying to reach Central Asia. India is a founder member of International North-South Transit Corridor (INSTC). So is Kazakhstan. Uzbekistan is the missing link, without which India’s access to Kazakhstan will be difficult. Most of the physical infra-structure of INSTC, including rail, road and port connectivity already exists. What is needed is greater awareness on part of the business to take advantage of opportunities this route offers. Though Uzbekistan is not party to INSTC, it is party to Ashgabat Agreement, which will provide a transport and transit corridor from Central Asia to the Persian Gulf. Uzbekistan is also party to Transport Internationaux Routiers or International Road Transport Convention (TIR). This is a multilateral treaty to simplify and harmonise the administrative formalities for over-land movement of goods across international borders. India has recently joined this Convention. Lack of connectivity accounts for low volume of India-Uzbekistan trade. The two-way trade of around USD 370 million is dwarfed in comparison with Uzbekistan’s trade with Russia and China. Uzbekistan’s trade with Russia is around USD 4 billion, with surplus in Russia’s favour. Uzbekistan’s trade with China is USD 4.2 billion with surplus in Uzbekistan’s favour. 40 percent of Uzbek gas is exported to China. Uzbekistan participated in OBOR Summit in China, but has adopted a cautious attitude. It is interested in investment, not credit. Also it does not want investment in extraction industries, such as mining. Uzbekistan has not joined Eurasian Economic Union (EEU), which includes Russia, Kazakhstan, Kyrgyzstan, Armenia and Belarus. It has however, signed Free Trade Agreement (FTA) with Commonwealth of Independent States (CIS) countries. This has broader scope with all members of CIS being party to it. From Uzbek perspective, it also has more equitable decision-making structure as compared to EEU. India’s participation in the development of Chabahar Port will complement the rail-road construction programme that Uzbekistan, Afghanistan and Iran have undertaken. The Port will provide an outlet to the Arabian sea. With India joining the SCO, points of convergence between India and Uzbekistan will multiply. Uzbekistan is an original member of the SCO. PM Modi attended the SCO Summit held in Uzbekistan in 2016, which paved the way for full membership for India in Astana Summit in 2017. SCO has emphasized the need for fighting terrorism and extremism. SCO member states have stake in stability of Afghanistan. India shares these concerns. India’s presence in SCO will give CAR more space to follow a multi-vector foreign policy. Uzbekistan has supported India’s candidature for Nuclear Suppliers’ Group. There is potential for supply of Uranium by Uzbekistan to India. The visit of Foreign Minister Abdulaziz Kamilov and Foreign Trade Minister Elyor Ganiev to India in August, 2017, has reinforced bilateral relations. The two sides decided to increase two way trade to USD 1 billion. Cheap gas prices in Uzbekistan makes it an attractive destination for Indian investment in petro-chemical sector. While distance and lack of geographical contiguity makes it difficult to evacuate gas from Uzbekistan, products would be easier to transport through INSTC route. Export of ‘moong dal’ from Uzbekistan to India is an interesting idea which emerged during the recent visit of Uzbek Trade Minister. Though a contract was signed, import has been postponed due to current surplus in the Indian market. However, this needs to be followed-up. Uzbekistan is also a major cotton producer. But most of the produce is exported as raw cotton. There is scope for value addition. Indian industry has considerable experience of textile and apparel sectors, and could invest in these sectors in Uzbekistan. The pharmaceutical sector could be another area for Indian investment. Uzbekistan welcomes foreign investment, and has set up a number of Free Trade Zones (FTZ). Recently, the exchange rate has been unified, and profit can be repatriated. Uzbekistan has diversified its industry. It used to produce aircraft; while aircraft production has been discontinued, General Motors manufactures automobiles near Andijan. India provides technical assistance through ITEC programme. There is considerable demand for training imparted by Indian Space Research Organisation (ISRO). The two countries could also explore possibility of defence co-operation and training. Uzbekistan and India are modern nations with millennia old history. There is convergence in their political interests; their economies are complementary. This provides a strong foundation to build their future relations.